Among the many things that I have learned while following digital currencies over the past few years is the critical importance of capturing the public interest. For the hundreds of currencies that have been created since bitcoin’s success, this ability to seize the zeitgeist is very difficult to predict. 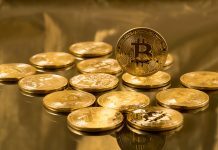 Despite its legions of haters and critics, bitcoin has clearly captured the public imagination and continues to flourish as the most prolific cryptocurrency with a current market cap of US$10bn. Ethereum – its closest competitor with a market cap of US$1.2bn – also rose to prominence suddenly and dramatically in early 2016, assisted by the ‘genius’ narrative associated with its young founder Vitalik Buterin – though his halo has been somewhat tarnished by the very regrettable failure of The DAO. Now there is a new upstart in the community. 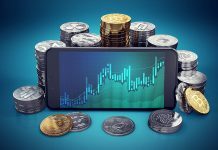 Earlier this month a new cryptocurrency called STEEM vaulted into the rankings at number 3 – the price having risen from approximately $0.25 just one month ago to around $4.00 at the time of writing, giving STEEM a market cap of approximately US$360m. Why the excitement? Steem is gaining momentum and network effects are occurring because it offers a potentially revolutionary way to reward content creators. This is a use-case that can generate dramatic interest amongst the ‘creative class’, and could draw many content creators away from today’s blogging and social media platforms. Until now the Internet has forced creative bloggers, writers, artists and musicians to provide their intellectual talent for free in exchange for intangibles like ‘profile’ and the remote possibility of sharing in advertising revenues. The vast majority of value is captured by monopoly platforms like YouTube and Twitter that expect participants and publishers to give their time for free. Until now these companies have harnessed the creative content of publishers and the responses of users, then packaged it and presented the collective product as their own. Steem is a blockchain-based social media platform that changes the entire dynamic of this relationship. With Steem, content uploaded to the platform is rewarded with the eponymous cryptocurrency STEEM as a result of users up-voting a post or article. But users themselves do not directly pay for up-voting the post. Steem has astutely identified that “the only transactions that users can approve without thought are ones that cost them nothing” – this is why tipping platforms do not work. Steem seeks to reward every single participant in the platform who does anything positive, whether that act be to publish, like or comment a contribution, mine the token or provide liquidity). To address the externalities and prevent the abuse and collusion that is prevalent in the traditional social media content creation model (e.g. buying thousands of fake Twitter followers), STEEM as a cryptocurrency has a complex structure. It is actually three interlocking tokens in one, where all three elements are interdependent and intertwined. There is STEEM, the tradeable token, which is intended for short-term use on the platform – a liquid currency that is subject to substantial inflation, in the form of rewards for publishers and participants, of approximately 100% per annum. Next, there is ‘Steem Power’ (SP) – which can be understood as a form of untraded equity ownership in the Steem platform. SP is non-transferable and is redeemable only over a 2-year period in exchange for STEEM. For every 1 STEEM that is issued as a reward, 9 STEEM are allocated to SP holders as an incentive for maintaining long term ‘equity’ ownership in the platform. Finally, there are ‘Steem-backed dollars’ (SBD) – which can be best understood as ‘convertible debt’ in the platform – a token that will always buy you 1 US dollar of STEEM at the time of ‘conversion’. SBDs are intended to provide stability so that participants can easily and immediately calculate the value of the reward on an ongoing basis. STEEM is a cryptocurrency, so as is the case with bitcoin, miners create it using a ‘carousel’ basis. The comparisons end there, though; STEEM is built to prevent the emergence of mining pools. Miners are also rewarded with STEEM, and liquidity providers who make a market between SBD and STEEM are also rewarded. Publishers of content are rewarded with STEEM depending on the number of votes and comments their article receives. Steem’s creators understand that the sum of ‘the crowd’s’ wisdom is greater than its individual parts, and therefore the Steem algorithm rewards successful content in a geometric progression rather than on a linear basis. STEEM received by miners, liquidity providers and publishers vests over time – not immediately – in order to incentivize all participants to stay continuously engaged and thereby maximize the value of the platform. Steem is a fascinating extension of the cryptocurrency world – seeking to solve the huge problem of unrewarded content and disintermediate the digital conglomerates that have a stranglehold on the collective value of humanity’s discourse. Unlike bitcoin, STEEM is not designed to be a long-term store of value but rather a continuous monetary reward system for human ingenuity. Steem seeks to provide a means for the collective creative brain-power of humanity to be appropriately rewarded, on a decentralized cooperative basis, rather than harvested by a small matrix of digital monopolies as is the case at present. If Steem lives up to its potential it could replace all existing social media platforms. Currently the format is somewhat similar to Reddit – but with a different user interface, Steem could create a censorship-free version of Twitter. The concept could also be extended further to the direct publication and distribution of films and music, and even live entertainment. This would truly revolutionise the value that can be captured by artistic creators and upturn the playing field away from the hierarchical gatekeepers who run the business today. Should this scenario come to pass, then the future collective value of Steem is likely to be a multiple of what has been realized to date. Adam Cleary is an entrepreneur, digital currency investor and investment manager. Adam runs Cavenham Capital Limited, which advises investors on digital currency investment.